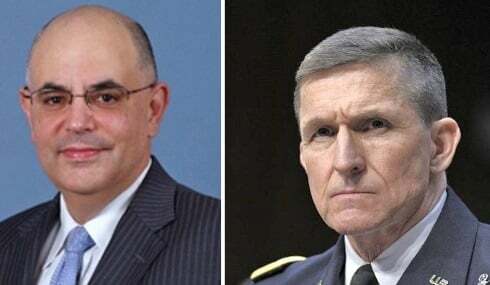 The federal judge who recused himself from the Michael Flynn case is personal friends with Peter Strzok, the FBI agent who conducted the White House interview in which the former national security adviser has pleaded guilty to lying. The friendship between Strzok and Rudolph Contreras, a judge on the U.S. District Court in Washington, D.C., is discussed in text messages the FBI agent exchanged with his mistress, Lisa Page. The Justice Department redacted the references to Contreras in 384 pages of text messages provided to Congress. Staffers on the House Judiciary Committee read the underlying documents and have filled in some of the gaps. The unredacted versions of the texts were obtained by The Daily Caller News Foundation. Now, two Republican members of the committee are questioning the DOJ’s handling of the text messages and also asking if Contreras’ recusal is tied to his friendship with Strzok. In the texts, exchanged on July 25, 2016, Strzok refers to Contreras, an Obama appointee, as his friend. He also appears to acknowledge that the relationship could cause conflicts of interest warranting recusal. Peter Strzok and Lisa Page. Two months before the exchange, Contreras was appointed to the Foreign Intelligence Surveillance Court (FISC). As the FBI’s deputy chief of counterintelligence at the time, many of Strzok’s investigations went through FISC. Strzok’s text messages were discovered during a Justice Department inspector general’s investigation into the FBI’s handling of former Secretary of State Hillary Clinton’s email probe. Strzok was one of the top investigators on that matter. He also oversaw the FBI investigation into Russian meddling in the presidential campaign. As part of that investigation, he conducted the Jan. 24, 2017, interview of Flynn. The Justice Department has provided 1.2 million documents to the inspector general for its investigation. In contrast, only 3,162 documents have been given to the Judiciary Committee, which has oversight on the Justice Department. “We believe that we need to get more documents from the Department of Justice and FBI that are not redacted, and we need to get them quickly,” said North Carolina Rep. Mark Meadows, a Republican member of the Judiciary panel. Contreras’ recusal has been a source of mystery ever since he was taken off the Flynn case on Dec. 7. He was appointed on Nov. 30, and the next day, on Dec. 1, Flynn pleaded guilty to lying to FBI agents — one of whom was Strzok — during his Jan. 24 interview in the White House. Flynn, who served as national security adviser at the time, acknowledged lying to the FBI about contacts he had with Russian Ambassador Sergey Kislyak. The day after Flynn pleaded guilty, newspapers reported that Strzok was removed from the special counsel’s Russia investigation because he sent politically charged, anti-Trump text messages to Page. The messages show that Strzok referred to President Donald Trump as an “idiot,” while mocking the Republican’s supporters. Shortly after the Russia investigation was opened, Strzok also discussed an “insurance policy” in August 2016 against Trump’s possible presidential election. Contreras recused himself from the Flynn case five days after those reports surfaced. Because Contreras was on the Flynn case for a matter of days, he did little more than receive Flynn’s guilty plea and sign papers granting Flynn’s release from custody. Judge Emmet Sullivan, a Clinton appointee, is now handling the case. A spokeswoman for the U.S. District Court in Washington did not respond to a request for comment about Contreras’ recusal. “Rudy is on the [Foreign Intelligence Surveillance Court]! Did you know that?” Page, an FBI attorney, wrote to Strzok on July 25, 2016. “Just appointed two months ago,” Strzok replied. Contreras joined the FISC court in May 2016. The court reviews and approves warrants to conduct surveillance on Americans suspected of being agents of foreign governments. One such warrant was granted in October 2016 against Carter Page, a former Trump campaign adviser. It is not believed that Contreras was involved in approving the Page warrant or any of the three renewals that were approved in 2017. “He mentioned thinking about it even though he was junior, they needed people and they especially needed minorities, and then he said he’d gotten on a month or two ago at a graduation party we were both at,” Strzok told Page of Contreras. The texts then turned to a discussion about whether the relationship should warrant recusal by Contreras on any espionage cases in which Strzok was involved. “I can’t imagine either one of you could talk about anything in detail meaningful enough to warrant recusal,” she wrote. One text from Strzok suggests he realized that his friendship with Contreras would warrant recusal by the judge. “Really? Rudy, I’m in charge of espionage for the FBI. Any espionage FISA comes before him, what should he do? Given his friend oversees them?” he wrote. “Standards for recusal are quite high. I just don’t think this poses an actual conflict. And he doesn’t know what you do?” Page responded. Strzok replied by saying that Contreras “generally” knew what Strzok did for a living. “Not the level or scope or area. But he’s super thoughtful and rigorous about ethics and conflicts. [redacted] suggested a social setting with others would probably be better than a one on one meeting,” he said. It’s not known whether Flynn’s legal team will make an issue out of the links between Strzok and Contreras. One source close to Flynn said that it is something worth exploring. Flynn is currently cooperating with special counsel Robert Mueller as part of his plea agreement. Robert Kelner, Flynn’s attorney, declined comment.